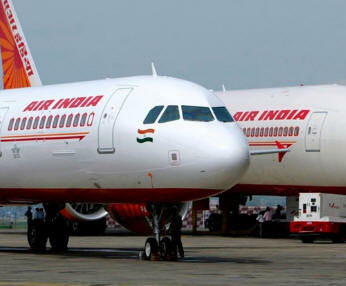 January 18, 2017 - Air India has decided to reserve seats in an entire row, namely the third row, in Economy Class on its Domestic Flights for women passengers who wish to travel alone. These seats will be availed by women passengers only and will not come at extra charge. The third row of every aircraft will be kept reserved for women passengers who are traveling alone and have a single passenger booking. A woman passenger booked with a fellow woman passenger in a booking reference is also eligible for these seats. Women traveling with child will not be eligible for these seats. However those women traveling with infant can take these seats but without bassinets. A women passenger can request for such seats at any of Air India’s booking offices in the city or at the airport. These seats can be taken up to 90 minutes before departure for Domestic flights. This air travel option is not valid on Alliance Air and Air India’s code share flights. This comes after reports of women passengers being groped by other passengers. Air India General Manager, Meenakshi Malik said, "We feel, as a national carrier, it is our responsibility to enhance comfort level to female passengers." In addition, the carrier will now carry two pairs of restrainers to deal with disruptive passengers who can not be controlled. Back on December 21, Flight AI-191 out of Mumbai for Newark, New Jersey had departed at 2 AM. Four hours into the flight a female passenger onboard the Boeing 777 began screaming and crying hysterically in the economy class, row 34. She reported to the flight attendants that the man seated next to her had put his hands on her breasts while she was sleeping. Upon landing in Newark, the male passenger was turned over to the police. It has been reported that the alleged molester, age 43, was originally seated in the business class, seat 8F. He had informed a flight attendant that he would be moving to the economy class as his colleague was there and they had to complete some work. When confronted by a flight attendant regarding putting his hands on a female’s breasts, the man said he was a frequent economy-class flier and could not sleep in business class and that he found an empty seat in economy class. The male passenger allegedly said he had accidentally touched her while he himself was asleep.